Under the name “Galaxy Tab A” Samsung could soon introduce four new tablets that are partially but with rather mediocre hardware with a stylus. Samsung could soon introduce a new range of tablets, presumably for Mobile World Congress in Barcelona. 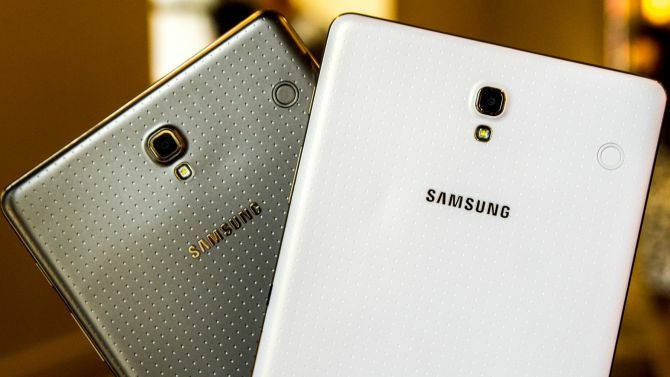 The colleagues of SamMobile have the names distended by four new tablets that may replace the Galaxy Tab and Galaxy Note 4 series. All four devices appear comfortable with mediocre hardware and optional with LTE. We start with the Samsung Galaxy Tab AS and AL Samsung Galaxy Tab , which carry the product numbers SM-T351 / T350 and SM-T551 / T550. This is probably the successor of 7 and 10 inch Galaxy Tab 4.0. The “S” and “L” in the name is likely to “Small” and “Large” are, so for small and large. The other two tablets is the Samsung Galaxy Tab Plus AS and AL Galaxy Tab Plus with the product numbers SM-P551 / 550 and SM-P351 / 350th This product numbers are similar to those of the touch tablet, which is why the new “Plus” series is probably equipped with an S-Pen stylus. It is possible that at the Samsung Galaxy Tab Plus to the recently leaked Samsung Galaxy Note 8.4 , we expected at CES, but was not presented. It is exciting to see whether the new Galaxy Tab A tablet with a metal housing come along. After all, puts Samsung in the Galaxy A smartphone to a higher-quality processing. Mobile World Congress, held in late February, we will know it hopefully. It is hard to believe, but Samsung has introduced no new tablet for half a year. In the past, we have seen a lot more products. To change their strategy and the South Koreans no longer get quite as many tablets one year out, but focus on a low-end and high-end series.